For just about all varieties of tree (excluding some tropical varieties), feeding should take place from early spring right through until the beginning of Autumn (fall) and can be done fortnightly. When Autumn arrives, at this point your tree should have enough energy stored and will start to lose its leaves (deciduous varieties), and begin its dormant cycle where it will shut down and only need to use its stored energy throughout the winter months. As spring arrives the tree will use its stored energy and new growth begins to appear, it is then time to start feeding again to aid in this constant growing cycle. Proper fertilizing is the best form of bonsai tree care you can give a tree, it helps keeps your tree healthy and pest resistant. 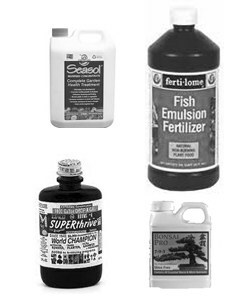 Types of organic fertilizer are fish emulsion, blood and bone meal and seaweed based products like Seasol. These products are natural and not chemically based like the man made products. Man-made fertilizer are brands like power feed or miracle grow. These are chemical based processed types of fertilizer. Regardless of whether you use organic or man made (I only ever use organic), it is important that the elements that your tree needs are in the right proportions. The Right Proportion of Nutrients. 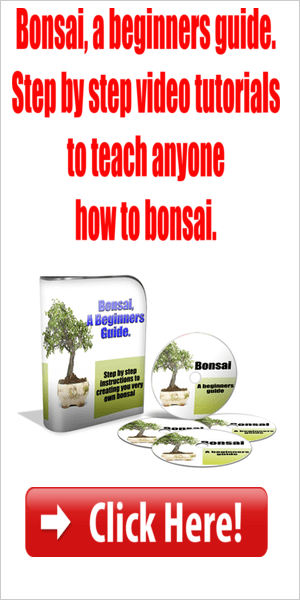 When choosing what to feed your bonsai you can break your trees needs down to these 4 things. Check on the label of the fertilizer for 3 different numbers, it is these numbers that give you the element balance. Nitrogen: This is for the shoots and promoting foliage growth. Phosphates: This is for the roots to keep everything below the soil healthy to continue to feed the tree. Potassium: Is the booster for healthy flowers and fruits. The right proportion for your tree will come down to what stage your tree is at, a relatively new tree that you are trying to get established, thickened up and growing strong, a balance of all 3 elements or higher in the first 2 (nitrogen, phosphates) is what you are looking for. If your tree is getting established and in a small pot, having a high number of phosphates might cause the tree to be root bound, or using a fertilizer high in nitrogen to green up your tree, might cause excessive foliage growth, and if the root system is not established enough to handle this extra growth, it might cause die back. There are a couple of times when people mistake the need to fertilize and this generally causes harm to the tree. The first one is usually straight after root pruning and re-potting, fertilizing with anything other than a low dose of slow release pellets or something similar at this time, will burn the trimmed roots and any fresh roots that begin to grow, this can cause severe die back or death to the tree! The second time is when a tree looks un-well, this is a tricky one because if the tree is un-well due to over watering or a root based problem, then over fertilizing at this time can do more harm then good, be cautious and only fertilize heavily if you are sure the tree is only lacking nutrients and not some other problem.